It is a well-known fact that all felines of taste (and that’s all of us, of course) have a big place in their hearts for the mid-century modern home of distinction, whatever its size. All that glass, all that minimalism, all those lovely sofas to scratch in such a lovingly destructive way. Mmmm mid-century, the best time of all. Let’s go there now, fellow tragics. 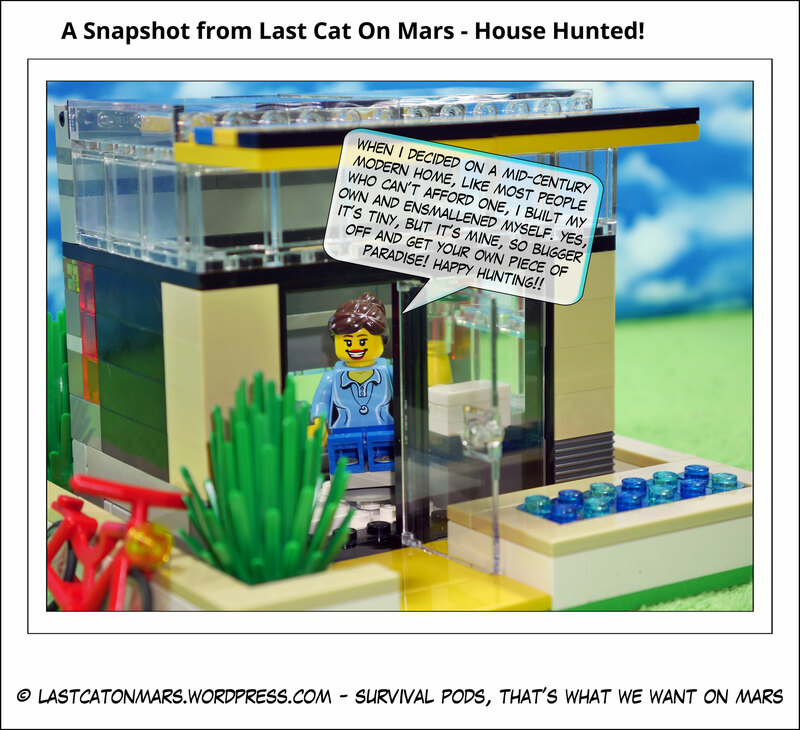 This entry was posted in History, Snapshots and tagged architecture, cartoons, comics, lego, mid-century modern, tiny house on June 27, 2018 by Jay Verney. 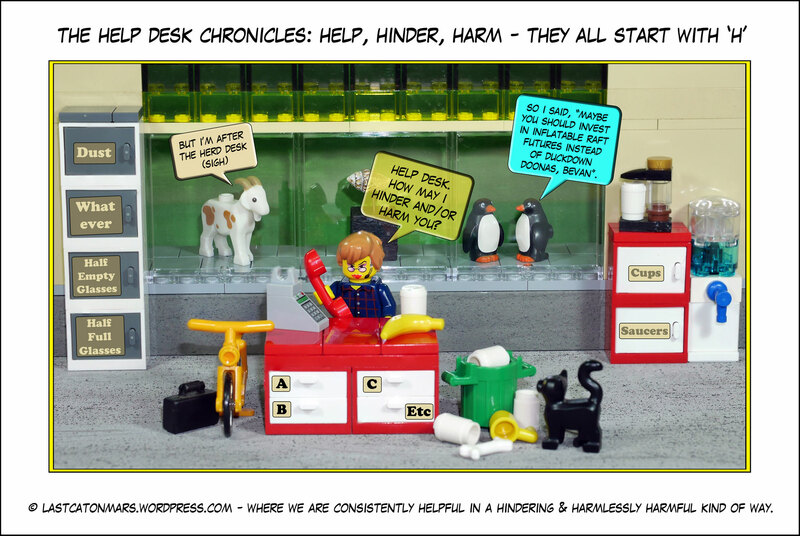 In Help Desk world, many other words often spring to mind, and they, too, have their story. This entry was posted in Help Desk and tagged black cat, cartoons, comics, goat, Help Desk, lego, minifigures, office, penguins, phone on June 20, 2018 by Jay Verney. Did you know that the humble bumbling bee is a threatened species? Well, it is. Read this very interesting article from the Climate Institute about the 20,000 or so bee species on Earth and tell me it isn’t important that we care for Mzzzzz Janice Flybeewaxy’s mental health? You can’t, can you? No, you can’t. Climate change, peeps, it’s a thing. 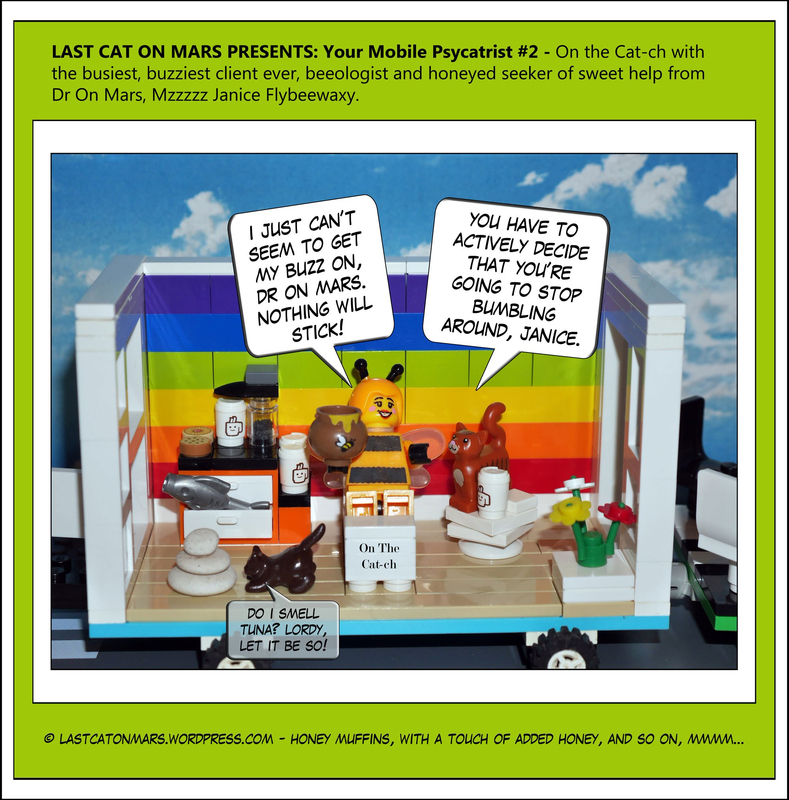 This entry was posted in Variety Show and tagged bees, cartoon, comic, Dr on Mars, fish, kitten, Last Cat, lego, minifigures, mobile psycatrist, psychiatrist on June 13, 2018 by Jay Verney.